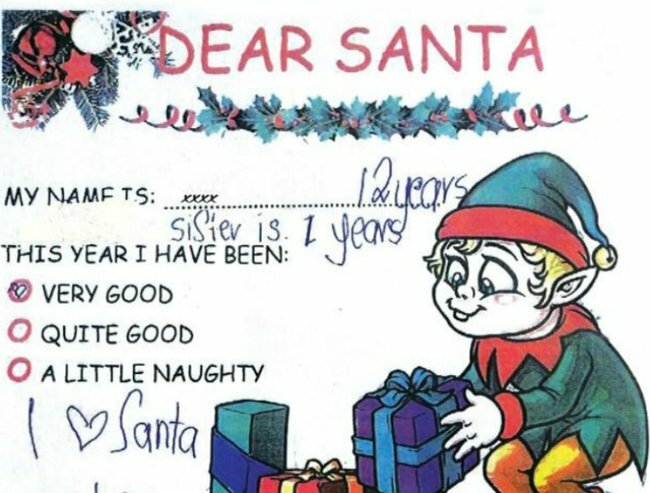 A girl writes a heartbreaking letter to Santa. Most kids’ letters to Santa are filled with questions about reindeer and requests for the biggest and brightest new toys. But Jane* has a very different request. She wants her dad to stop hurting her mum. She also would like a school bag, school books and a guinea pig for her sister and her to love. 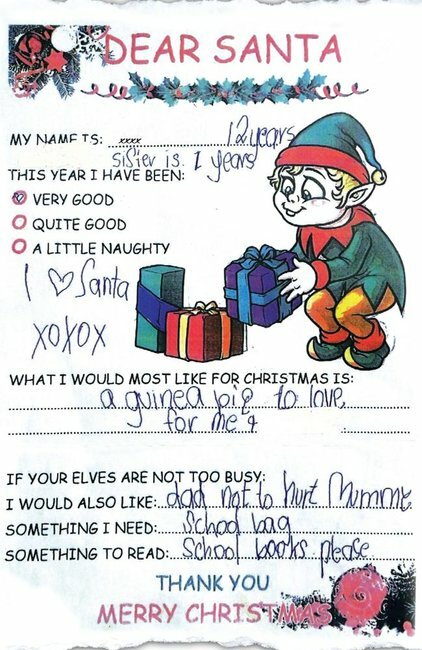 The heartbreaking requests are just one of many letters from children on the Gold Coast, sent as part of the Be An Elf wish appeal organised by Mothers Against Drugs volunteers. The heartbreaking letter. Image supplied. Many of the ‘Dear Santa’ requests ask for simple things – like chalk so the kids can write outside without bothering anyone. Another girl, Sofia, asks for a “vacation with a reindeer” and for her sister, who recently died, back. The group’s founder June Hintz told the Gold Coast Bulletin she was amazed by how many of her helpers needed assistance themselves. “There are some good people out there. 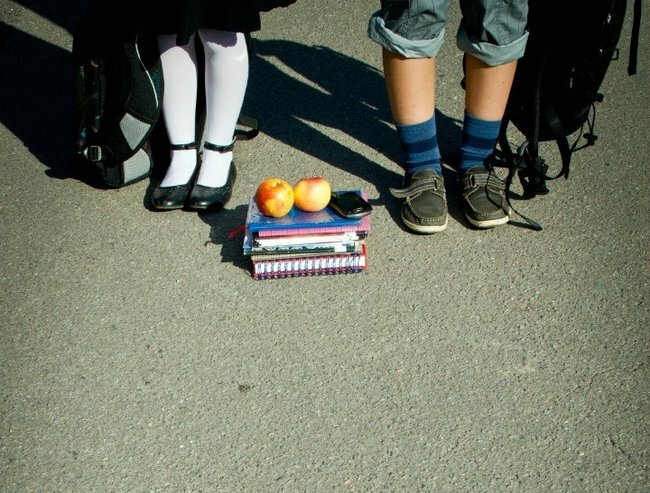 It’s the thing that always gives me hope,” Ms Hintz said. “And these children still have hope. “Many are very humble requests and some are just heartbreaking. Some kids just want the basics for Christmas. Image via iStock. Last year, the group helped around 700 kids and 400 families along the Gold Coast. Ms Hintz said on Christmas Eve volunteers drop off gifts by the car load. She said last year, a 10-year-old boy who lived in a car wanted pork chops and potato bake for Christmas Day, which was delivered by a woman the night before. The 62-year-old widow later returned with an Esky, which she vowed to refill every few days. Now, she is the boy’s adopted grandma. Sometimes all a child needs at Christmas is someone to care. 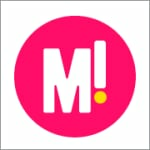 To help the Be An Elf wish appeal, go to M. A. D Christmas Appeal on Facebook, phone 0408 256 251 or email [email protected]. If you’re experiencing sexual assault or domestic or family violence, call the 1800 RESPECT 24-hour national helpline on 1800 737 732.